This document was produced by the CSS Working Group (part of the Style Activity) as a Candidate Recommendation. This document is intended to become a W3C Recommendation. This document will remain a Candidate Recommendation at least until 1 September 2016 in order to ensure the opportunity for wide review. This module introduces a new layout mode, flex layout, which is designed for laying out more complex applications and webpages. The catalog uses flex layout to lay out rows of items horizontally, and to ensure that items within a row are all equal-height. Each entry is then itself a column flex container, laying out its contents vertically. Within each entry, the source document content is ordered logically with the title first, followed by the description and the photo. This provides a sensible ordering for speech rendering and in non-CSS browsers. For a more compelling visual presentation, however, order is used to pull the image up from later in the content to the top, and align-self is used to center it horizontally. An auto margin above the purchase button forces it to the bottom within each entry box, regardless of the height of that item’s description. <p>This is the best computer money can buy, if you don’t have much money. This is the best computer money can buy, if you don’t have much money. 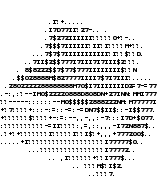 Only capable of printing ASCII art. Paper and ink not included. An example rendering of the code above. This module extends the definition of the display property [CSS21], adding a new block-level and new inline-level display type, and defining a new type of formatting context along with properties to control its layout. None of the properties defined in this module apply to the ::first-line or ::first-letter pseudo-elements. A flex container is the box generated by an element with a computed display of flex or inline-flex. In-flow children of a flex container are called flex items and are laid out using the flex layout model. Unlike block and inline layout, whose layout calculations are biased to the block and inline flow directions, flex layout is biased to the flex directions. To make it easier to talk about flex layout, this section defines a set of flex flow–relative terms. The flex-flow value and the writing mode determine how these terms map to physical directions (top/right/bottom/left), axes (vertical/horizontal), and sizes (width/height). An illustration of the various directions and sizing terms as applied to a row flex container. This value causes an element to generate a block-level flex container box. This value causes an element to generate an inline-level flex container box. A flex container establishes a new flex formatting context for its contents. This is the same as establishing a block formatting context, except that flex layout is used instead of block layout. For example, floats do not intrude into the flex container, and the flex container’s margins do not collapse with the margins of its contents. Flex containers form a containing block for their contents exactly like block containers do. [CSS21] The overflow property applies to flex containers. the column-* properties in the Multi-column Layout module [CSS3COL] have no effect on a flex container. vertical-align has no effect on a flex item. the ::first-line and ::first-letter pseudo-elements do not apply to flex containers, and flex containers do not contribute a first formatted line or first letter to their ancestors. If an element’s specified display is inline-flex, then its display property computes to flex in certain circumstances: the table in CSS 2.1 Section 9.7 is amended to contain an additional row, with inline-flex in the "Specified Value" column and flex in the "Computed Value" column. Loosely speaking, the flex items of a flex container are boxes representing its in-flow contents. Each in-flow child of a flex container becomes a flex item, and each contiguous run of text that is directly contained inside a flex container is wrapped in an anonymous flex item. However, an anonymous flex item that contains only white space (i.e. characters that can be affected by the white-space property) is not rendered (just as if it were display:none). (Anonymous, unstyleable) flex item containing anonymous item 3. Note that the inter-element white space disappears: it does not become its own flex item, even though the inter-element text does get wrapped in an anonymous flex item. Note also that the anonymous item’s box is unstyleable, since there is no element to assign style rules to. Its contents will however inherit styles (such as font settings) from the flex container. A flex item establishes a new formatting context for its contents. The type of this formatting context is determined by its display value, as usual. However, flex items themselves are flex-level boxes, not block-level boxes: they participate in their container’s flex formatting context, not in a block formatting context. Note: Authors reading this spec may want to skip past the following box-generation and static position details. An absolutely-positioned child of a flex container does not participate in flex layout. However, it does participate in the reordering step (see order), which has an effect on painting order. The effect of this is that if you set, for example, align-content: center; on an absolutely-positioned child of a flex container, the child’s static position will center it in the flex container’s cross axis. The static-position rectangle is the alignment container used to determine the static-position offsets of an absolutely-positioned box. In block layout it corresponds to the position of the “hypothetical box” described in CSS2.1§10.3.7. (Since it has no alignment properties, CSS2.1 always uses a block-start inline-start alignment of the absolutely-positioned box within the static-position rectangle.) Note that this definition will eventually move to the CSS Positioning module. The margins of adjacent flex items do not collapse. Authors should avoid using percentages in paddings or margins on flex items entirely, as they will get different behavior in different browsers. Auto margins expand to absorb extra space in the corresponding dimension. They can be used for alignment, or to push adjacent flex items apart. See Aligning with auto margins. Note: Descendants that are positioned outside a flex item still participate in any stacking context established by the flex item. Specifying visibility:collapse on a flex item causes it to become a collapsed flex item, producing an effect similar to visibility:collapse on a table-row or table-column: the collapsed flex item is removed from rendering entirely, but leaves behind a "strut" that keeps the flex line’s cross-size stable. Thus, if a flex container has only one flex line, dynamically collapsing or uncollapsing items may change the flex container’s main size, but is guaranteed to have no effect on its cross size and won’t cause the rest of the page’s layout to "wobble". Flex line wrapping is re-done after collapsing, however, so the cross-size of a flex container with multiple lines might or might not change. Though collapsed flex items aren’t rendered, they do appear in the formatting structure. Therefore, unlike on display:none items [CSS21], effects that depend on a box appearing in the formatting structure (like incrementing counters or running animations and transitions) still operate on collapsed items. In the following example, a sidebar is sized to fit its content. visibility: collapse is used to dynamically hide parts of a navigation sidebar without affecting its width, even though the widest item (“Architecture”) is in a collapsed section. Hover over the menu to the left: each section expands to show its sub-items. In order to keep the sidebar width (and this main area width) stable, visibility: collapse is used instead of display: none. This results in a sidebar that is always wide enough for the word “Architecture”, even though it is not always visible. To compute the size of the strut, flex layout is first performed with all items uncollapsed, and then re-run with each collapsed item replaced by a strut that maintains the original cross-size of the item’s original line. See the Flex Layout Algorithm for the normative definition of how visibility:collapse interacts with flex layout. If the item’s computed main size property is definite, then the specified size is that size (clamped by its max main size property if it’s definite). It is otherwise undefined. If the item has an intrinsic aspect ratio and its computed cross size property is definite, then the transferred size is that size (clamped by its min and max cross size properties if they are definite), converted through the aspect ratio. It is otherwise undefined. The content size is the min-content size in the main axis, clamped, if it has an aspect ratio, by any definite min and max cross size properties converted through the aspect ratio, and then further clamped by the max main size property if that is definite. Otherwise, this keyword computes to 0 (unless otherwise defined by a future specification). In particular, if flex sizing is being used for a major content area of a document, it is better to set an explicit font-relative minimum width such as min-width: 12em. A content-based minimum width could result in a large table or large image stretching the size of the entire content area into an overflow zone, and thereby making lines of text gratuitously long and hard to read. Although this may require an additional layout pass to re-resolve percentages in some cases, the auto value of min-width and min-height (like the min-content, max-content, and fit-content values defined in [CSS3-SIZING]) does not prevent the resolution of percentage sizes within the item. The contents of a flex container can be laid out in any direction and in any order. This allows an author to trivially achieve effects that would previously have required complex or fragile methods, such as hacks using the float and clear properties. This functionality is exposed through the flex-direction, flex-wrap, and order properties. Note: The reordering capabilities of flex layout intentionally affect only the visual rendering, leaving speech order and navigation based on the source order. This allows authors to manipulate the visual presentation while leaving the source order intact for non-CSS UAs and for linear models such as speech and sequential navigation. See Reordering and Accessibility and the Flex Layout Overview for examples that use this dichotomy to improve accessibility. Authors must not use order or the *-reverse values of flex-flow/flex-direction as a substitute for correct source ordering, as that can ruin the accessibility of the document. The flex-direction property specifies how flex items are placed in the flex container, by setting the direction of the flex container’s main axis. This determines the direction in which flex items are laid out. The flex container’s main axis has the same orientation as the inline axis of the current writing mode. The main-start and main-end directions are equivalent to the inline-start and inline-end directions, respectively, of the current writing mode. The flex container’s main axis has the same orientation as the block axis of the current writing mode. The main-start and main-end directions are equivalent to the block-start and block-end directions, respectively, of the current writing mode. Note: The reverse values do not reverse box ordering: like writing-mode and direction [CSS3-WRITING-MODES], they only change the direction of flow. Painting order, speech order, and sequential navigation orders are not affected. The flex container is single-line. The flex container is multi-line. For the values that are not wrap-reverse, the cross-start direction is equivalent to either the inline-start or block-start direction of the current writing mode (whichever is in the cross axis) and the cross-end direction is the opposite direction of cross-start. When flex-wrap is wrap-reverse, the cross-start and cross-end directions are swapped. /* Initial value. Main-axis is inline, no wrapping. The order property controls the order in which children of a flex container appear within the flex container, by assigning them to ordinal groups. It takes a single <integer> value, which specifies which ordinal group the flex item belongs to. A flex container lays out its content in order-modified document order, starting from the lowest numbered ordinal group and going up. Items with the same ordinal group are laid out in the order they appear in the source document. This also affects the painting order [CSS21], exactly as if the flex items were reordered in the source document. Unless otherwise specified by a future specification, this property has no effect on boxes that are not children of a flex container. The order property does not affect ordering in non-visual media (such as speech). Likewise, order does not affect the default traversal order of sequential navigation modes (such as cycling through links, see e.g. tabindex [HTML5]). In order to preserve the author’s intended ordering in all presentation modes, authoring tools—including WYSIWYG editors as well as Web-based authoring aids—must reorder the underlying document source and not use order to perform reordering unless the author has explicitly indicated that the underlying document order (which determines speech and navigation order) should be out-of-sync with the visual order. For example, a tool might offer both drag-and-drop reordering of flex items as well as handling of media queries for alternate layouts per screen size range. Since most of the time, reordering should affect all screen ranges as well as navigation and speech order, the tool would perform drag-and-drop reordering at the DOM layer. In some cases, however, the author may want different visual orderings per screen size. The tool could offer this functionality by using order together with media queries, but also tie the smallest screen size’s ordering to the underlying DOM order (since this is most likely to be a logical linear presentation order) while using order to determine the visual presentation order in other size ranges. This tool would be conformant, whereas a tool that only ever used order to handle drag-and-drop reordering (however convenient it might be to implement it that way) would be non-conformant. A single-line flex container (i.e. one with flex-wrap: nowrap) lays out all of its children in a single line, even if that would cause its contents to overflow. A multi-line flex container (i.e. one with flex-wrap: wrap or flex-wrap: wrap-reverse) breaks its flex items across multiple lines, similar to how text is broken onto a new line when it gets too wide to fit on the existing line. When additional lines are created, they are stacked in the flex container along the cross axis according to the flex-wrap property. Every line contains at least one flex item, unless the flex container itself is completely empty. This example shows four buttons that do not fit side-by-side horizontally, and therefore will wrap into multiple lines. Since the container is 300px wide, only three of the items fit onto a single line. They take up 240px, with 60px left over of remaining space. Because the flex-flow property specifies a multi-line flex container (due to the wrap keyword appearing in its value), the flex container will create an additional line to contain the last item. An example rendering of the multi-line flex container. Once content is broken into lines, each line is laid out independently; flexible lengths and the justify-content and align-self properties only consider the items on a single line at a time. In a multi-line flex container (even one with only a single line), the cross size of each line is the minimum size necessary to contain the flex items on the line (after alignment due to align-self), and the lines are aligned within the flex container with the align-content property. In a single-line flex container, the cross size of the line is the cross size of the flex container, and align-content has no effect. The main size of a line is always the same as the main size of the flex container’s content box. Here’s the same example as the previous, except that the flex items have all been given flex: auto. The first line has 60px of remaining space, and all of the items have the same flexibility, so each of the three items on that line will receive 20px of extra width, each ending up 100px wide. The remaining item is on a line of its own and will stretch to the entire width of the line, i.e. 300px. A rendering of the same as above, but with the items all given flex: auto. The defining aspect of flex layout is the ability to make the flex items “flex”, altering their width/height to fill the available space in the main dimension. This is done with the flex property. A flex container distributes free space to its items (proportional to their flex grow factor) to fill the container, or shrinks them (proportional to their flex shrink factor) to prevent overflow. The flex property specifies the components of a flexible length: the flex grow factor and flex shrink factor, and the flex basis. When a box is a flex item, flex is consulted instead of the main size property to determine the main size of the box. If a box is not a flex item, flex has no effect. This <number> component sets flex-grow longhand and specifies the flex grow factor, which determines how much the flex item will grow relative to the rest of the flex items in the flex container when positive free space is distributed. When omitted, it is set to 1. This <number> component sets flex-shrink longhand and specifies the flex shrink factor, which determines how much the flex item will shrink relative to the rest of the flex items in the flex container when negative free space is distributed. When omitted, it is set to 1. Note: The flex shrink factor is multiplied by the flex base size when distributing negative space. This distributes negative space in proportion to how much the item is able to shrink, so that e.g. a small item won’t shrink to zero before a larger item has been noticeably reduced. When specified on a flex item, the auto keyword retrieves the value of the main size property as the used flex-basis. If that value is itself auto, then the used value is content. Indicates automatic sizing, based on the flex item’s content. Note: This value was not present in the initial release of Flexible Box Layout, and thus some older implementations will not support it. The equivalent effect can be achieved by using auto together with a main size (width or height) of auto. For all other values, flex-basis is resolved the same way as for width and height. When omitted from the flex shorthand, its specified value is 0. The keyword none expands to 0 0 auto. A diagram showing the difference between "absolute" flex (starting from a basis of zero) and "relative" flex (starting from a basis of the item’s content size). The three items have flex factors of 1, 1, and 2, respectively: notice that the item with a flex factor of 2 grows twice as fast as the others. The initial values of the flex components are equivalent to flex: 0 1 auto. Note: The initial values of flex-grow and flex-basis are different from their defaults when omitted in the flex shorthand. This is so that the flex shorthand can better accommodate the most common cases. A unitless zero that is not already preceded by two flex factors must be interpreted as a flex factor. To avoid misinterpretation or invalid declarations, authors must specify a zero <‘flex-basis’> component with a unit or precede it by two flex factors. Equivalent to flex: 0 1 auto. (This is the initial value.) Sizes the item based on the width/height properties. (If the item’s main size property computes to auto, this will size the flex item based on its contents.) Makes the flex item inflexible when there is positive free space, but allows it to shrink to its minimum size when there is insufficient space. The alignment abilities or auto margins can be used to align flex items along the main axis. Equivalent to flex: 1 1 auto. Sizes the item based on the width/height properties, but makes them fully flexible, so that they absorb any free space along the main axis. If all items are either flex: auto, flex: initial, or flex: none, any positive free space after the items have been sized will be distributed evenly to the items with flex: auto. Equivalent to flex: 0 0 auto. This value sizes the item according to the width/height properties, but makes the flex item fully inflexible. This is similar to initial, except that flex items are not allowed to shrink, even in overflow situations. Equivalent to flex: <positive-number> 1 0. Makes the flex item flexible and sets the flex basis to zero, resulting in an item that receives the specified proportion of the free space in the flex container. If all items in the flex container use this pattern, their sizes will be proportional to the specified flex factor. Individual components of flexibility can be controlled by independent longhand properties. Authors are encouraged to control flexibility using the flex shorthand rather than with its longhand properties directly, as the shorthand correctly resets any unspecified components to accommodate common uses. Authors are encouraged to control flexibility using the flex shorthand rather than with flex-grow directly, as the shorthand correctly resets any unspecified components to accommodate common uses. The flex-grow property sets the flex grow factor to the provided <number>. Negative numbers are invalid. Authors are encouraged to control flexibility using the flex shorthand rather than with flex-shrink directly, as the shorthand correctly resets any unspecified components to accommodate common uses. The flex-shrink property sets the flex shrink factor to the provided <number>. Negative numbers are invalid. Authors are encouraged to control flexibility using the flex shorthand rather than with flex-basis directly, as the shorthand correctly resets any unspecified components to accommodate common uses. The flex-basis property sets the flex basis. It accepts the same values as the width and height property, plus content. For all values other than auto and content (defined above), flex-basis is resolved the same way as width in horizontal writing modes [CSS21]. For example, percentage values of flex-basis are resolved against the flex item’s containing block (i.e. its flex container) and if that containing block’s size is indefinite, the result is the same as a main size of auto (which in this case is treated as content). As another corollary, flex-basis determines the size of the content box, unless otherwise specified such as by box-sizing [CSS3UI]. After a flex container’s contents have finished their flexing and the dimensions of all flex items are finalized, they can then be aligned within the flex container. The margin properties can be used to align items in a manner similar to, but more powerful than, what margins can do in block layout. Flex items also respect the alignment properties from CSS Box Alignment, which allow easy keyword-based alignment of items in both the main axis and cross axis. These properties make many common types of alignment trivial, including some things that were very difficult in CSS 2.1, like horizontal and vertical centering. Note: While the alignment properties are defined in CSS Box Alignment, Flexible Box Layout reproduces the definitions of the relevant ones here so as to not create a normative dependency that may slow down advancement of the spec. These properties apply only to flex layout until CSS Box Alignment Level 3 is finished and defines their effect for other layout modes. This section is non-normative. The normative definition of how margins affect flex items is in the Flex Layout Algorithm section. During calculations of flex bases and flexible lengths, auto margins are treated as 0. Overflowing boxes ignore their auto margins and overflow in the end direction. Note: If free space is distributed to auto margins, the alignment properties will have no effect in that dimension because the margins will have stolen all the free space left over after flexing. One use of auto margins in the main axis is to separate flex items into distinct "groups". The following example shows how to use this to reproduce a common UI pattern - a single bar of actions with some aligned on the left and others aligned on the right. Sample rendering of the code below. The figure below illustrates the difference in cross-axis alignment in overflow situations between using auto margins and using the alignment properties. The items in the figure on the left are centered with margins, while those in the figure on the right are centered with align-self. If this column flex container was placed against the left edge of the page, the margin behavior would be more desirable, as the long item would be fully readable. In other circumstances, the true centering behavior might be better. Flex items are packed toward the start of the line. The main-start margin edge of the first flex item on the line is placed flush with the main-start edge of the line, and each subsequent flex item is placed flush with the preceding item. Flex items are packed toward the end of the line. The main-end margin edge of the last flex item is placed flush with the main-end edge of the line, and each preceding flex item is placed flush with the subsequent item. Flex items are evenly distributed in the line. If the leftover free-space is negative or there is only a single flex item on the line, this value is identical to flex-start. Otherwise, the main-start margin edge of the first flex item on the line is placed flush with the main-start edge of the line, the main-end margin edge of the last flex item on the line is placed flush with the main-end edge of the line, and the remaining flex items on the line are distributed so that the spacing between any two adjacent items is the same. An illustration of the five justify-content keywords and their effects on a flex container with three colored items. If either of the flex item’s cross-axis margins are auto, align-self has no effect. The cross-start margin edge of the flex item is placed flush with the cross-start edge of the line. The cross-end margin edge of the flex item is placed flush with the cross-end edge of the line. If the flex item’s inline axis is the same as the cross axis, this value is identical to flex-start. Otherwise, it participates in baseline alignment: all participating flex items on the line are aligned such that their baselines align, and the item with the largest distance between its baseline and its cross-start margin edge is placed flush against the cross-start edge of the line. If the cross size property of the flex item computes to auto, and neither of the cross-axis margins are auto, the flex item is stretched. Its used value is the length necessary to make the cross size of the item’s margin box as close to the same size as the line as possible, while still respecting the constraints imposed by min-height/min-width/max-height/max-width. Note: If the flex container’s height is constrained this value may cause the contents of the flex item to overflow the item. An illustration of the five align-items keywords and their effects on a flex container with four colored items. Lines are packed toward the start of the flex container. The cross-start edge of the first line in the flex container is placed flush with the cross-start edge of the flex container, and each subsequent line is placed flush with the preceding line. Lines are packed toward the end of the flex container. The cross-end edge of the last line is placed flush with the cross-end edge of the flex container, and each preceding line is placed flush with the subsequent line. Lines are evenly distributed in the flex container. If the leftover free-space is negative this value is identical to flex-start. Otherwise, the cross-start edge of the first line in the flex container is placed flush with the cross-start content edge of the flex container, the cross-end edge of the last line in the flex container is placed flush with the cross-end content edge of the flex container, and the remaining lines in the flex container are distributed so that the spacing between any two adjacent lines is the same. Lines stretch to take up the remaining space. If the leftover free-space is negative, this value is identical to flex-start. Otherwise, the free-space is split equally between all of the lines, increasing their cross size. Note: Only multi-line flex containers ever have free space in the cross-axis for lines to be aligned in, because in a single-line flex container the sole line automatically stretches to fill the space. An illustration of the align-content keywords and their effects on a multi-line flex container. If any of the flex items on the flex container’s first line participate in baseline alignment, the flex container’s main-axis baseline is the baseline of those flex items. Otherwise, if the flex container has at least one flex item, and its first flex item has a baseline parallel to the flex container’s main axis, the flex container’s main-axis baseline is that baseline. Otherwise, the flex container’s main-axis baseline is synthesized from the first item’s content box, or, failing that, from the flex container’s content box. If the flex container has at least one flex item, and its first flex item has a baseline parallel to the flex container’s cross axis, the flex container’s cross-axis baseline is that baseline. 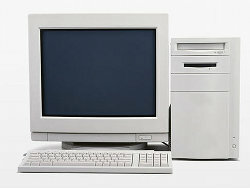 Otherwise, the flex container’s cross-axis baseline is synthesized from the first item’s content box, or, failing that, from the flex container’s content box. See Baseline Rules in [CSS3-ALIGN] for more information on baseline alignment. This section contains normative algorithms detailing the exact layout behavior of a flex container and its contents. The algorithms here are written to optimize readability and theoretical simplicity, and may not necessarily be the most efficient. Implementations may use whatever actual algorithms they wish, but must produce the same results as the algorithms described here. Note: This section is mainly intended for implementors. Authors writing web pages should generally be served well by the individual property descriptions, and do not need to read this section unless they have a deep-seated urge to understand arcane details of CSS layout. The following sections define the algorithm for laying out a flex container and its contents. Generate anonymous flex items as described in the Flex Items section. Re-order the flex items (and any absolutely positioned flex container children) according to their order. The flex items with the lowest (most negative) order values are first in the ordering. If multiple flex items share an order value, they’re ordered by document order. This effectively changes the order of their boxes in the box-tree, and how the rest of this algorithm deals with the generated flex items. Note: Absolutely-positioned children of a flex container do not participate in flex layout, but are reordered together with any flex item children. Determine the available main and cross space for the flex items. For each dimension, if that dimension of the flex container’s content box is a definite size, use that; if that dimension of the flex container is being sized under a min or max-content constraint, the available space in that dimension is that constraint; otherwise, subtract the flex container’s margin, border, and padding from the space available to the flex container in that dimension and use that value. This might result in an infinite value. If the item has a definite used flex basis, that’s the flex base size. then the flex base size is calculated from its inner cross size and the flex item’s intrinsic aspect ratio. If the used flex basis is content or depends on its available size, and the flex container is being sized under a min-content or max-content constraint (e.g. when performing automatic table layout [CSS21]), size the item under that constraint. The flex base size is the item’s resulting main size. Otherwise, if the used flex basis is content or depends on its available size, the available main size is infinite, and the flex item’s inline axis is parallel to the main axis, lay the item out using the rules for a box in an orthogonal flow [CSS3-WRITING-MODES]. The flex base size is the item’s max-content main size. Note: This case occurs, for example, in an English document (horizontal writing mode) containing a column flex container containing a vertical Japanese (vertical writing mode) flex item. Otherwise, size the item into the available space using its used flex basis in place of its main size, treating a value of content as max-content. If a cross size is needed to determine the main size (e.g. when the flex item’s main size is in its block axis) and the flex item’s cross size is auto and not definite, in this calculation use fit-content as the flex item’s cross size. The flex base size is the item’s resulting main size. When determining the flex base size, the item’s min and max main size properties are ignored (no clamping occurs). The hypothetical main size is the item’s flex base size clamped according to its min and max main size properties. Determine the main size of the flex container using the rules of the formatting context in which it participates. For this computation, auto margins on flex items are treated as 0. If the flex container is single-line, collect all the flex items into a single flex line. Otherwise, starting from the first uncollected item, collect consecutive items one by one until the first time that the next collected item would not fit into the flex container’s inner main size (or until a forced break is encountered, see §10 Fragmenting Flex Layout). If the very first uncollected item wouldn’t fit, collect just it into the line. For this step, the size of a flex item is its outer hypothetical main size. Repeat until all flex items have been collected into flex lines. Note that the "collect as many" line will collect zero-sized flex items onto the end of the previous line even if the last non-zero item exactly "filled up" the line. Resolve the flexible lengths of all the flex items to find their used main size. See §9.7 Resolving Flexible Lengths. Determine the hypothetical cross size of each item by performing layout with the used main size and the available space, treating auto as fit-content. Calculate the cross size of each flex line. If the flex container is single-line and has a definite cross size, the cross size of the flex line is the flex container’s inner cross size. Collect all the flex items whose inline-axis is parallel to the main-axis, whose align-self is baseline, and whose cross-axis margins are both non-auto. Find the largest of the distances between each item’s baseline and its hypothetical outer cross-start edge, and the largest of the distances between each item’s baseline and its hypothetical outer cross-end edge, and sum these two values. Among all the items not collected by the previous step, find the largest outer hypothetical cross size. The used cross-size of the flex line is the largest of the numbers found in the previous two steps and zero. If the flex container is single-line, then clamp the line’s cross-size to be within the container’s computed min and max cross-size properties. Note that if CSS 2.1’s definition of min/max-width/height applied more generally, this behavior would fall out automatically. Handle 'align-content: stretch'. If the flex container has a definite cross size, align-content is stretch, and the sum of the flex lines' cross sizes is less than the flex container’s inner cross size, increase the cross size of each flex line by equal amounts such that the sum of their cross sizes exactly equals the flex container’s inner cross size. Collapse visibility:collapse items. If any flex items have visibility: collapse, note the cross size of the line they’re in as the item’s strut size, and restart layout from the beginning. In this second layout round, when collecting items into lines, treat the collapsed items as having zero main size. For the rest of the algorithm following that step, ignore the collapsed items entirely (as if they were display:none) except that after calculating the cross size of the lines, if any line’s cross size is less than the largest strut size among all the collapsed items in the line, set its cross size to that strut size. Skip this step in the second layout round. Determine the used cross size of each flex item. If a flex item has align-self: stretch, its computed cross size property is auto, and neither of its cross-axis margins are auto, the used outer cross size is the used cross size of its flex line, clamped according to the item’s min and max cross size properties. Otherwise, the used cross size is the item’s hypothetical cross size. If the flex item has align-self: stretch, redo layout for its contents, treating this used size as its definite cross size so that percentage-sized children can be resolved. Note that this step does not affect the main size of the flex item, even if it has an intrinsic aspect ratio. If the remaining free space is positive and at least one main-axis margin on this line is auto, distribute the free space equally among these margins. Otherwise, set all auto margins to zero. Align the items along the main-axis per justify-content. If its outer cross size (treating those auto margins as zero) is less than the cross size of its flex line, distribute the difference in those sizes equally to the auto margins. Otherwise, if the block-start or inline-start margin (whichever is in the cross axis) is auto, set it to zero. Set the opposite margin so that the outer cross size of the item equals the cross size of its flex line. Align all flex items along the cross-axis per align-self, if neither of the item’s cross-axis margins are auto. If the cross size property is a definite size, use that, clamped by the min and max cross size properties of the flex container. Otherwise, use the sum of the flex lines' cross sizes, clamped by the min and max cross size properties of the flex container. Align all flex lines per align-content. Determine the used flex factor. Sum the outer hypothetical main sizes of all items on the line. If the sum is less than the flex container’s inner main size, use the flex grow factor for the rest of this algorithm; otherwise, use the flex shrink factor. Calculate initial free space. Sum the outer sizes of all items on the line, and subtract this from the flex container’s inner main size. For frozen items, use their outer target main size; for other items, use their outer flex base size. Check for flexible items. If all the flex items on the line are frozen, free space has been distributed; exit this loop. Calculate the remaining free space as for initial free space, above. If the sum of the unfrozen flex items’ flex factors is less than one, multiply the initial free space by this sum. If the magnitude of this value is less than the magnitude of the remaining free space, use this as the remaining free space. Distribute free space proportional to the flex factors. Find the ratio of the item’s flex grow factor to the sum of the flex grow factors of all unfrozen items on the line. Set the item’s target main size to its flex base size plus a fraction of the remaining free space proportional to the ratio. For every unfrozen item on the line, multiply its flex shrink factor by its inner flex base size, and note this as its scaled flex shrink factor. Find the ratio of the item’s scaled flex shrink factor to the sum of the scaled flex shrink factors of all unfrozen items on the line. Set the item’s target main size to its flex base size minus a fraction of the absolute value of the remaining free space proportional to the ratio. Note this may result in a negative inner main size; it will be corrected in the next step. Fix min/max violations. Clamp each non-frozen item’s target main size by its min and max main size properties. If the item’s target main size was made smaller by this, it’s a max violation. If the item’s target main size was made larger by this, it’s a min violation. Freeze all the items with min violations. Freeze all the items with max violations. Return to the start of this loop. Set each item’s used main size to its target main size. For the purposes of these definitions, a definite size is one that can be determined without measuring content, i.e. is a <length>, a size of the initial containing block, or a <percentage> that is resolved against a definite size. An indefinite size is one that is not definite. If a single-line flex container has a definite cross size, the outer cross size of any stretched flex items is the flex container’s inner cross size (clamped to the flex item’s min and max cross size) and is considered definite. If a percentage is going to be resolved against a flex item’s main size, and the flex item has a definite flex basis, and the flex container has a definite main size, the flex item’s main size must be treated as definite for the purpose of resolving the percentage, and the percentage must resolve against the flexed main size of the flex item (that is, after the layout algorithm below has been completed for the flex item’s flex container, and the flex item has acquired its final size). The intrinsic sizing of a flex container is used to produce various types of content-based automatic sizing, such as shrink-to-fit logical widths (which use the fit-content formula) and content-based logical heights (which use the max-content size). See [CSS3-SIZING] for a definition of the terms in this section. For each flex item, subtract its outer flex base size from its max-content contribution size. If that result is not zero, divide it by (if the result was positive) its flex grow factor floored at 1, or (if the result was negative) by its scaled flex shrink factor, having floored the flex shrink factor at 1. This is the item’s max-content flex fraction. Place all flex items into lines of infinite length. Within each line, find the largest max-content flex fraction among all the flex items. Add each item’s flex base size to the product of its flex grow factor (or scaled flex shrink factor, if the chosen max-content flex fraction was negative) and the chosen max-content flex fraction, then clamp that result by the max main size property. The flex container’s max-content size is the largest sum of the afore-calculated sizes of all items within a single line. The min-content main size of a single-line flex container is calculated identically to the max-content main size, except that the flex item’s min-content contribution is used instead of its max-content contribution. However, for a multi-line container, it is simply the largest min-content contribution of all the flex items in the flex container. The min-content/max-content cross size of a single-line flex container is the largest min-content contribution/max-content contribution (respectively) of its flex items. For a multi-line flex container, the min-content/max-content cross size is the sum of the flex line cross sizes resulting from sizing the flex container under a cross-axis min-content constraint/max-content constraint (respectively). However, if the flex container is flex-flow: column wrap;, then it’s sized by first finding the largest min-content/max-content cross-size contribution among the flex items (respectively), then using that size as the available space in the cross axis for each of the flex items during layout. Note: This heuristic for column wrap flex containers gives a reasonable approximation of the size that the flex container should be, with each flex item ending up as min(item’s own max-content, maximum min-content among all items), and each flex line no larger than its largest flex item. It’s not a perfect fit in some cases, but doing it completely correct is insanely expensive, and this works reasonably well. The main-size min-content/max-content contribution of a flex item is its outer min-content/max-content size, clamped by its flex base size as a maximum (if it is not growable) and/or as a minimum (if it is not shrinkable), and then further clamped by its min/max main size properties. Flex containers can break across pages between items, between lines of items (in multi-line mode), and inside items. The break-* properties apply to flex containers as normal for block-level or inline-level boxes. This section defines how they apply to flex items and the contents of flex items. The following breaking rules refer to the fragmentation container as the “page”. The same rules apply to any other fragmenters. (Substitute “page” with the appropriate fragmenter type as needed.) See the CSS3 Fragmentation Module [CSS3-BREAK]. For readability, in this section the terms "row" and "column" refer to the relative orientation of the flex container with respect to the block flow direction of the fragmentation context, rather than to that of the flex container itself. In a row flex container, the break-before and break-after properties on flex items are propagated to the flex line. The break-before property on the first line and the break-after property on the last line are propagated to the flex container. In a column flex container, the break-before property on the first item and the break-after property on the last item are propagated to the flex container. Forced breaks on other items are applied to the item itself. A forced break inside a flex item effectively increases the size of its contents; it does not trigger a forced break inside sibling items. When a flex container is continued after a break, the space available to its flex items (in the block flow direction of the fragmentation context) is reduced by the space consumed by flex container fragments on previous pages. The space consumed by a flex container fragment is the size of its content box on that page. If as a result of this adjustment the available space becomes negative, it is set to zero. If the first fragment of the flex container is not at the top of the page, and none of its flex items fit in the remaining space on the page, the entire fragment is moved to the next page. When a multi-line column flex container breaks, each fragment has its own "stack" of flex lines, just like each fragment of a multi-column element has its own row of column boxes. Aside from the rearrangement of items imposed by the previous point, UAs should attempt to minimize distortion of the flex container with respect to unfragmented flow. This informative section presents a possible fragmentation algorithm for flex containers. Implementors are encouraged to improve on this algorithm and provide feedback to the CSS Working Group. This algorithm assumes that pagination always proceeds only in the forward direction; therefore, in the algorithms below, alignment is mostly ignored prior to pagination. Advanced layout engines may be able to honor alignment across fragments. Run the flex layout algorithm (without regards to pagination) through Cross Sizing Determination. Lay out as many consecutive flex items or item fragments as possible (but at least one or a fragment thereof), starting from the first, until there is no more room on the page or a forced break is encountered. If the previous step ran out of room and the free space is positive, the UA may reduce the distributed free space on this page (down to, but not past, zero) in order to make room for the next unbreakable flex item or fragment. Otherwise, the item or fragment that does not fit is pushed to the next page. The UA should pull up if more than 50% of the fragment would have fit in the remaining space and should push otherwise. If there are any flex items or fragments not laid out by the previous steps, rerun the flex layout algorithm from Line Length Determination through Cross Sizing Determination with the next page’s size and all the contents (including those already laid out), and return to the previous step, but starting from the first item or fragment not already laid out. For each fragment of the flex container, continue the flex layout algorithm from Main-Axis Alignment to its finish. It is the intent of this algorithm that column-direction single-line flex containers paginate very similarly to block flow. As a test of the intent, a flex container with justify-content:start and no flexible items should paginate identically to a block with in-flow children with same content, same used size and same used margins. Run the flex layout algorithm with regards to pagination (limiting the flex container’s maximum line length to the space left on the page) through Cross Sizing Determination. Lay out as many consecutive flex items as possible (but at least one), starting from the first, until there is no more room on the page or a forced break is encountered. Forced breaks within flex items are ignored. If this is the first flex container fragment, this line contains only a single flex item that is larger than the space left on the page, and the flex container is not at the top of the page already, move the flex container to the next page and restart flex container layout entirely. If there are any flex items not laid out by the first step, rerun the flex layout algorithm from Main Sizing Determination through Cross Sizing Determination using only the items not laid out on a previous line, and return to the previous step, starting from the first item not already laid out. If there are any flex items not laid out by the previous step, rerun the flex layout algorithm from Line Sizing Determination through Cross Sizing Determination with the next page’s size and only the items not already laid out, and return to the previous step, but starting from the first item not already laid out. If a flex item does not entirely fit on a single page, it will not be paginated in multi-line column flex containers. Run the entire flex layout algorithm (without regards to pagination), except treat any align-self other than flex-start or baseline as flex-start. If an unbreakable item doesn’t fit within the space left on the page, and the flex container is not at the top of the page, move the flex container to the next page and restart flex container layout entirely. For each item, lay out as much of its contents as will fit in the space left on the page, and fragment the remaining content onto the next page, rerunning the flex layout algorithm from Line Length Determination through Main-Axis Alignment into the new page size using all the contents (including items completed on previous pages). Any flex items that fit entirely into previous fragments still take up space in the main axis in later fragments. For each fragment of the flex container, rerun the flex layout algorithm from Cross-Axis Alignment to its finish. For all fragments besides the first, treat align-self and align-content as being flex-start for all item fragments and lines. If any item, when aligned according to its original align-self value into the combined cross size of all the flex container fragments, would fit entirely within a single flex container fragment, it may be shifted into that fragment and aligned appropriately. Run the flex layout algorithm (without regards to pagination), through Cross Sizing Determination. Lay out as many flex lines as possible (but at least one), starting from the first, until there is no more room on the page or a forced break is encountered. If a line doesn’t fit on the page, and the line is not at the top of the page, move the line to the next page and restart the flex layout algorithm entirely, using only the items in and following this line. If a flex item itself causes a forced break, rerun the flex layout algorithm from Main Sizing Determination through Main-Axis Alignment, using only the items on this and following lines, but with the item causing the break automatically starting a new line in the line breaking step, then continue with this step. Forced breaks within flex items are ignored. If there are any flex items not laid out by the previous step, rerun the flex layout algorithm from Line Length Determination through Main-Axis Alignment with the next page’s size and only the items not already laid out. Return to the previous step, but starting from the first line not already laid out. For each fragment of the flex container, continue the flex layout algorithm from Cross Axis Alignment to its finish. Erik Anderson, Christian Biesinger, Tony Chang, Phil Cupp, Arron Eicholz, James Elmore, Andrew Fedoniouk, Brian Heuston, Shinichiro Hamaji, Daniel Holbert, Ben Horst, John Jansen, Brad Kemper, Kang-hao Lu, Markus Mielke, Peter Moulder, Robert O’Callahan, Christoph Päper, Ning Rogers, Peter Salas, Elliott Sprehn, Morten Stenshorne, Christian Stockwell, Ojan Vafai, Eugene Veselov, Greg Whitworth, Boris Zbarsky. When omitted from the flex shorthand, its specified value is 0%. Equivalent to flex: <positive-number> 1 0%. float and clear have no effect on a flex item, float and clear do not create floating or clearance of flex item, and do not take it out-of-flow. However, the float property can still affect box generation by influencing the display property’s computed value. Some values of display trigger the creation of anonymous boxes around the original box. It’s the outermost box—the direct child of the flex container box—that becomes a flex item. For example, given two contiguous child elements with display: table-cell, the anonymous table wrapper box generated around them [CSS21] becomes the flex item. In the case of flex items with display: table, the table wrapper box becomes the flex item, and the order and align-self properties apply to it. The contents of any caption boxes contribute to the calculation of the table wrapper box’s min-content and max-content sizes. However, like width and height, the flex longhands apply to the table box as follows: the flex item’s final size is calculated by performing layout as if the distance between the table wrapper box’s edges and the table box’s content edges were all part of the table box’s border+padding area, and the table box were the flex item. In order to prevent cycling sizing, the auto value of min-height and max-height does not factor into the percentage size resolution of the box’s contents. For example, a percentage-height block whose flex item parent has height: 120em; min-height: auto will size itself against height: 120em regardless of the impact that min-height might have on the used size of the flex item. The main-size min-content/max-content contribution of a flex item is its outer hypothetical main size when sized under a min-content/max-content constraint (respectively) The main-size min-content/max-content contribution of a flex item is its outer min-content/max-content size, clamped by its flex base size as a maximum (if it is not growable) and/or as a minimum (if it is not shrinkable), and then further clamped by its min/max main size properties . For each flex item, subtract its outer flex base size from its max-content contribution size , then divide by its flex grow factor, floored at 1, or by its scaled flex shrink factor (if the result was negative, flooring the flex shrink factor at 1 if necessary) . If that result is not zero, divide it by (if the result was positive) its flex grow factor floored at 1, or (if the result was negative) by its scaled flex shrink factor, having floored the flex shrink factor at 1. This is the item’s max-content flex fraction. The min-content cross size and max-content cross size of a flex container are the cross size of the flex container after performing layout into the given available main-axis space and infinite available cross-axis space. This heuristic for column wrap flex containers gives a reasonable approximation of the size that the flex container should be, with each flex item ending up as min(item’s own max-content, maximum min-content among all items), and each flex line no larger than its largest flex item. It’s not a perfect fit in some cases, but doing it completely correct is insanely expensive, and this works reasonably well. On absolutely positioned elements, a value of auto computes to itself. On all other elements, a A value of auto for align-self computes to the value of align-items on the element’s parent, or stretch if the element has no parent. Handle min/max constraints in sizing flex items. Determine the available main and cross space for the flex items. For each dimension, if that dimension of the flex container’s content box is a definite size, use that; if that dimension of the flex container is being sized under a min or max-content constraint, the available space in that dimension is that constraint; otherwise, subtract the flex container’s margin, border, and padding from the space available to the flex container in that dimension and use that value. If the first fragment of the flex container is not at the top of the page, and some none of its flex items don’t fit in the remaining space on the page, the entire fragment is moved to the next page. Miscellaneous minor editorial improvements and fixes to errors in examples. When a flex container has multiple lines, In a multi-line flex container (even one with only a single line), the cross size of each line is the minimum size necessary [...] When a flex container (even a multi-line one) has only one line, In a single-line flex container, the cross size of the line is the cross size of the flex container, and align-content has no effect. Note, this property has no effect when the flex container has only a single line. on a single-line flex container. Only flex containers with multiple lines multi-line flex containers ever have free space in the cross-axis for lines to be aligned in, because in a flex container with a single line single-line flex container the sole line automatically stretches to fill the space. If the flex container has only one flex line (even if it’s a multi-line flex container) is single-line and has a definite cross size, the cross size of the flex line is the flex container’s inner cross size. If the flex container has only one flex line (even if it’s a multi-line flex container), is single-line, then clamp the line’s cross-size to be within the container’s computed min and max cross-size properties. collect consecutive items one by one until the first time that the next collected item would not fit into the flex container’s inner main size, ( or until a forced break is encountered , see §10 Fragmenting Flex Layout) . [...] A break is forced wherever the CSS2.1 page-break-before/page-break-after [CSS21] or the CSS3 break-before/break-after [CSS3-BREAK] properties specify a fragmentation break. For every unfrozen item on the line, multiply its flex shrink factor by its outer inner flex base size, and note this as its scaled flex shrink factor. If the cross size property of the flex item computes to auto, and n either of the cross-axis margins are auto, the flex item is stretched. Removed references to display property longhands, since they will be removed from CSS Display Level 3. Otherwise, lay out size the item into the available space using its used flex basis in place of its main size, treating a value of content as max-content. Renamed “clamped size” to “specified size” in the definition of height: auto. the computed width/height, if that value is definite. Defined that any size adjustment imposed by a box’s min-width: auto is not consulted when percentage-sizing any of its contents. (Issue 27) This change was later reverted with an opposite definition. Introduced extra main-size keyword to flex-basis so that “lookup from main-size property” and “automatic sizing” behaviors could each be explicitly specified. (Issue 20) This change was later reverted with an alternative proposal solving the same problem by instead introducing the content keyword. If a percentage is going to be resolved against a flex item’s main size, and the flex item has a definite flex basis, the main size must be treated as definite for the purpose of resolving the percentage, and the percentage must resolve against the flexed main size of the flex item (that is, after the layout algorithm below has been completed for the flex item’s flex container, and the flex item has acquired its final size). If the flex container has only one flex line (even if it’s a multi-line flex container), then clamp the line’s cross-size to be within the container’s computed min and max cross-size properties. Note that if CSS 2.1’s definition of min/max-width/height applied more generally, this behavior would fall out automatically. Its The static position of an absolutely-positioned child of a flex container is calculated by first doing full flex layout without the absolutely-positioned children, then positioning each absolutely-positioned child determined such that the child is positioned as if it were the sole flex item in the flex container, assuming both the child and the flex container were fixed-size boxes of their used size. In other words, the static position of an absolutely positioned child of a flex container is determined after flex layout by setting the child’s static-position rectangle to the flex container’s content box, then aligning the absolutely positioned child within this rectangle according to the justify-content value of the flex container and the align-self value of the child itself. An absolutely-positioned child of a flex container does not participate in flex layout beyond the reordering step . However, it does participate in the reordering step (see order), which has an effect in their painting order. Unless otherwise specified by a future specification, this property has no effect on boxes that are not flex items children of a flex container . Take into account whether overflow is visible, since when overflow is explicitly handled, it is confusing (and unnecessary) to force enough size to show all the content. Take into account the specified width/height, so that the implied minimum is never greater than the specified size. Compute to itself (not to min-content) on flex items, since they are no longer equivalent (due to above changes). When used as the value of a flex item’s min main size property, this keyword indicates a minimum of the min-content size, to help ensure that the item is large enough to fit its contents. It is intended that this will compute to the min-content keyword when the specification defining it ([CSS3-SIZING]) is sufficiently mature. As a special case for handling stretched flex items, if a single-line flex container has a definite cross size, the outer cross size of any flex items with align-self: stretch is the flex container’s inner cross size (clamped to the flex item’s min and max cross size) and is considered definite. If a cross size is needed to determine the main size (e.g. when the flex item’s main size is in its block axis) and the flex item’s cross size is auto and not definite, in this calculation use fit-content as the flex item’s cross size. Defined the intrinsic sizes of flex containers. Determine the main size of the flex container using its main size property. In this calculation, the min content main size of the flex container is the maximum of the flex container’s items' min-content size contributions, and the max content main size of the flex container is the sum of the flex container’s items' max-content size contributions. The min-content/max-content main size contribution of an item is its outer hypothetical main size when sized under a min-content/max-content constraint (respectively). For this computation, ‘auto’ margins on flex items are treated as ‘0’. The max-content main size of a flex container is the sum of the flex container’s items' max-content contributions in the main axis. The min-content main size of a single-line flex container is the sum of the flex container’s items' min-content contributions in the main axis; for a multi-line container, it is the largest of those contributions. The main-size min-content/max-content contribution of a flex item is its outer hypothetical main size when sized under a min-content/max-content constraint (respectively). Correct an omission in the flex-line size determination, so a single-line flexbox will size to its contents if it doesn’t have a definite size. If the flex container has only one flex line (even if it’s a multi-line flex container) and has a definite cross size , the cross size of the flex line is the flex container’s inner cross size. The used cross-size of the flex line is the larger largest of the numbers found in the previous two steps and zero . Flex items paint exactly the same as block-level elements in the normal flow inline blocks [CSS21] . When omitted from the flex shorthand, its specified value is 0% the length zero . Equivalent to flex: <positive-number> 1 0px0%. Note: This change was reverted. Defined that an unresolvable percentage flex base size is treated as auto. percentage values of flex-basis are resolved against the flex item’s containing block, i.e. its flex container, and if that containing block’s size is indefinite, the result is undefined the same as a main size of auto . An absolutely-positioned child of a flex container does not participate in flex layout beyond the reordering step. If both left and right are auto, the flex item must be positioned so that its main-start or cross-start edge (whichever is in the horizontal axis) is aligned with the static position. If both top and bottom are auto, the flex item must be positioned so that its main-start or cross-start edge (whichever is in the vertical axis) is aligned with the static position. If there is a subsequent in-flow flex item on the same flex line, the static position is the outer main-start edge of that flex item. Otherwise, if there is a preceding in-flow flex item on the same flex line, the static position is the outer main-end edge of that flex item. Otherwise, the static position is determined by the value of justify-content on the flex container as if the static position were represented by a zero-sized flex item. If there is a preceding in-flow flex item, the static position is the cross-start edge of the flex line that item is in. Otherwise, the static position is the cross-start edge of the first flex line. The static position is intended to more-or-less match the position of an anonymous 0×0 in-flow flex-start-aligned flex item that participates in flex layout, the primary difference being that any packing spaces due to justify-content: space-around or justify-content: space-between are suppressed around the hypothetical item: between it and the next item if there is a real item after it, else between it and the previous item (if any) if there isn’t. Its static position is calculated by first doing full flex layout without the absolutely-positioned children, then positioning each absolutely-positioned child as if it were the sole flex item in the flex container, assuming both the child and the flex container were fixed size boxes of their used size. For example, by default, the static position of an absolutely positioned child aligns it to the main-start/cross-start corner, corresponding to the default values of justify-content and align-content on the flex container. Setting justify-content:center on the flex container, however, would center it in the main axis. Changed algorithm for resolving flexible lengths to make behavior continuous as the sum of the flex factors approaches zero. (No change for a sum ≥ 1.) (Issue 30) Replaces this section with this one. Re-order the flex items and absolutely positioned flex container children according to their order. float and clear have no effect on a flex item , and do not take it out-of-flow. However, the float property can still affect box generation by influencing the display property’s computed value. However, an anonymous flex item that contains only white space (i.e. characters that can be affected by the white-space property) is not rendered, as if it were display:none. Clarified that table anonymous box generation occurs in place of computed value conversion for internal table elements. Clarified interaction of flex item determination with display-inside / display-outside (the new longhands of display defined in the CSS Display Module Level 3). Clarified that overflow applies to flex containers. Clarified that ::first-line and ::first-letter pseudo-elements do not apply to flex containers (because they are not block containers). Clarify that the rules of the formatting context are used for determining the flex container’s main size. Determine the main size of the flex container using the rules of the formatting context in which it participates its main size property . Otherwise, starting from the first uncollected item, collect consecutive items one by one until the first time that the next collected item would not fit into the flex container’s inner main size, or until a forced break is encountered. If the very first uncollected item wouldn’t fit, collect just it into the line as many consecutive flex items as will fit or until a forced break is encountered (but collect at least one) into the flex container’s inner main size into a flex line . Note that items with zero main size will never start a line unless they’re the very first items in the flex container, or they’re preceded by a forced break. The "collect as many" line will collect them zero-sized flex items onto the end of the previous line even if the last non-zero item exactly "filled up" the line. If the cross size property is a definite size, use that, clamped by the min and max cross size properties of the flex container . Otherwise, use the sum of the flex lines' cross sizes, clamped by the min and max cross size properties of the flex container . Flexbox introduces no new privacy leaks, or security considerations beyond "implement it correctly".